WolfgangAMozart is a Legacy Library. Legacy libraries are the personal libraries of famous readers, entered by LibraryThing members from the Legacy Libraries group. » Wolfgang Amadeus Mozart's catalog. 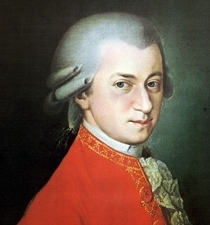 » Wolfgang Amadeus Mozart's legacy profile. WolfgangAMozart is also an author. About meI was one of the most influential composers of the Classical era. Born in Salzburg on 27 January 1756, I first became known as a "Wunderkind". Later on I settled at the Austrian court in Vienna. I died in Vienna on 5 December 1791, aged only 35.